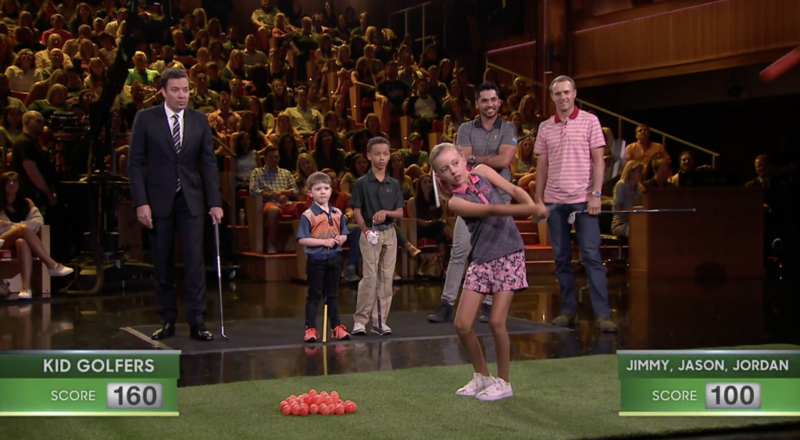 PGA Tour stars Jordan Spieth and Jason Day team up with Jimmy Fallon against Madison & her buddies Aiden Dinani and Isaac Riches in a cross between Skee-Ball and mini golf. Click on the pic to watch the clip from The Tonight Show. 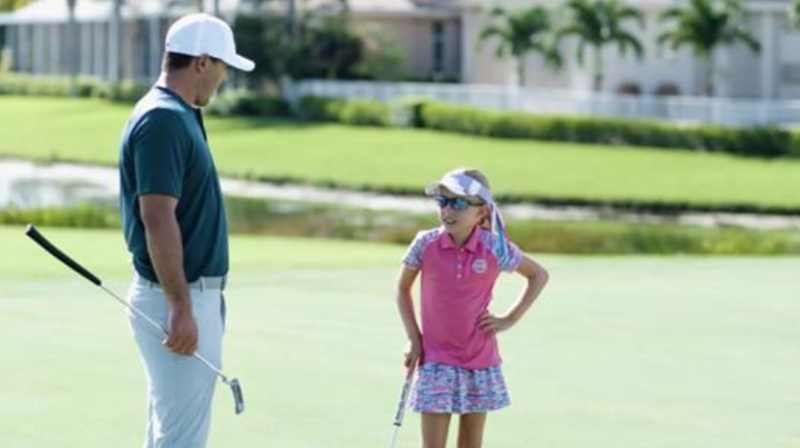 Check out this fun video that Madison did with the 2017 U.S. Open Champion, Brooks Koepka.